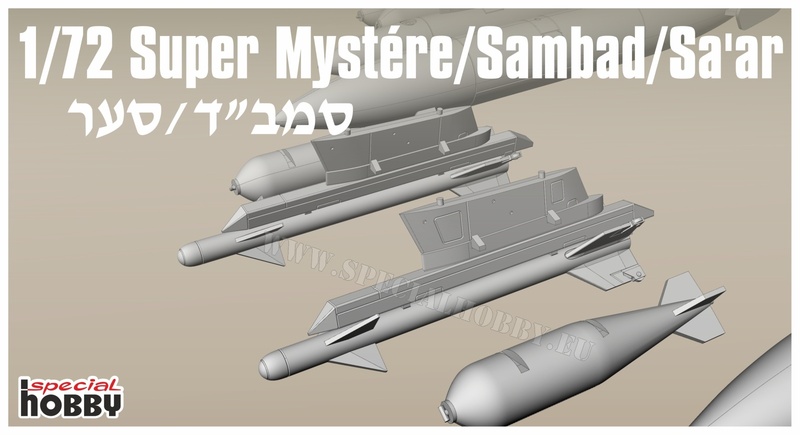 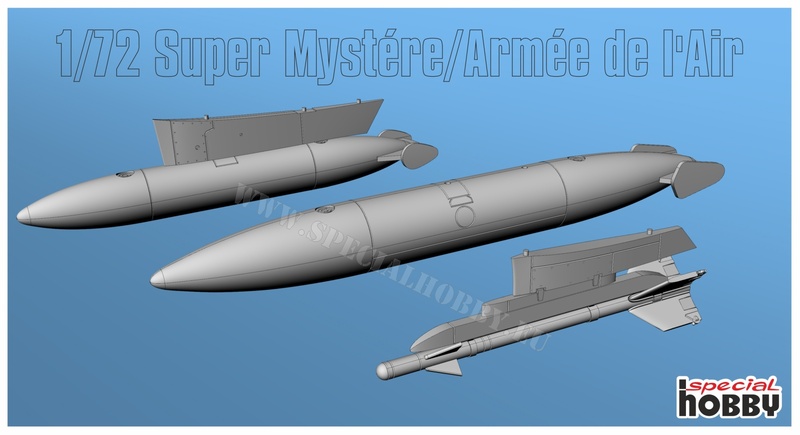 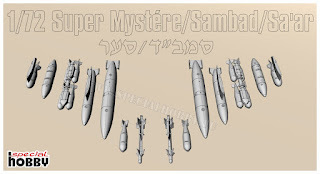 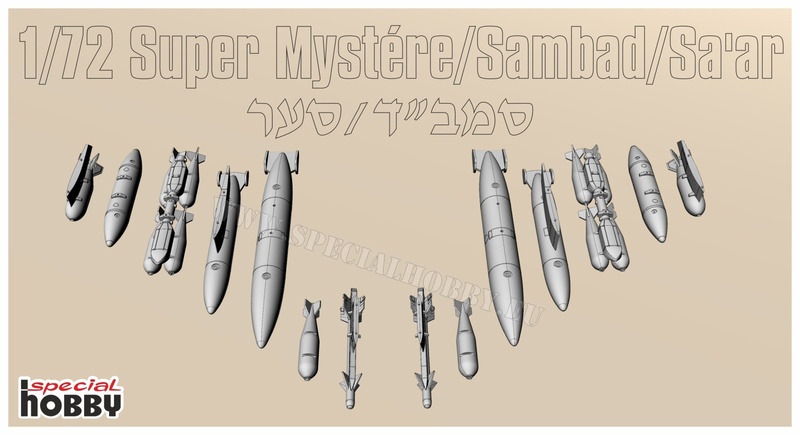 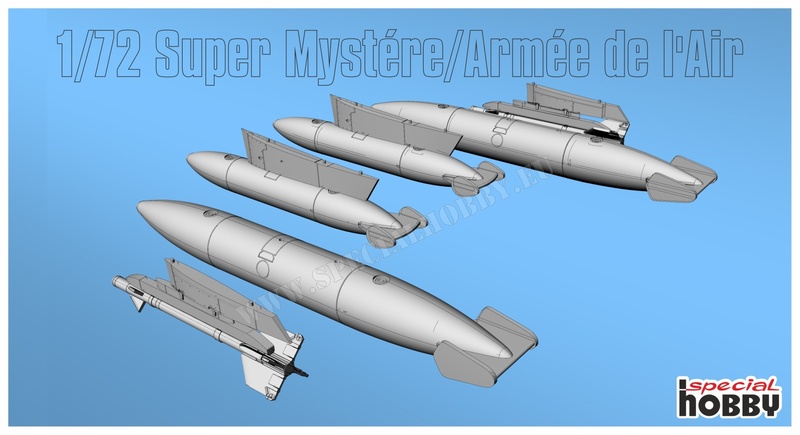 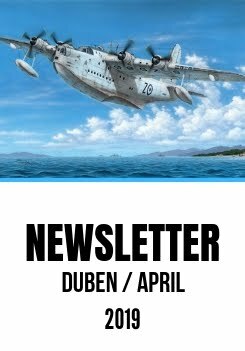 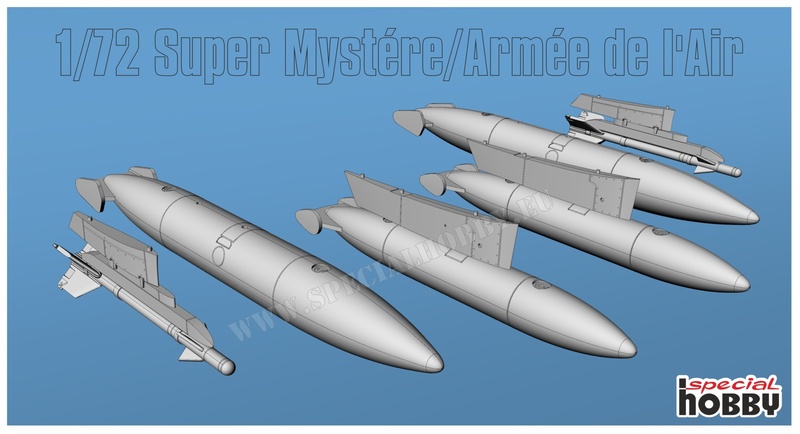 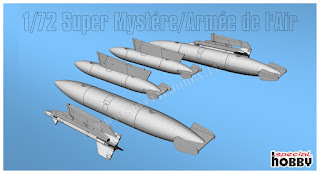 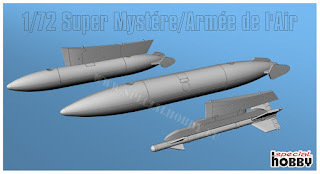 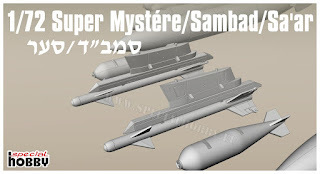 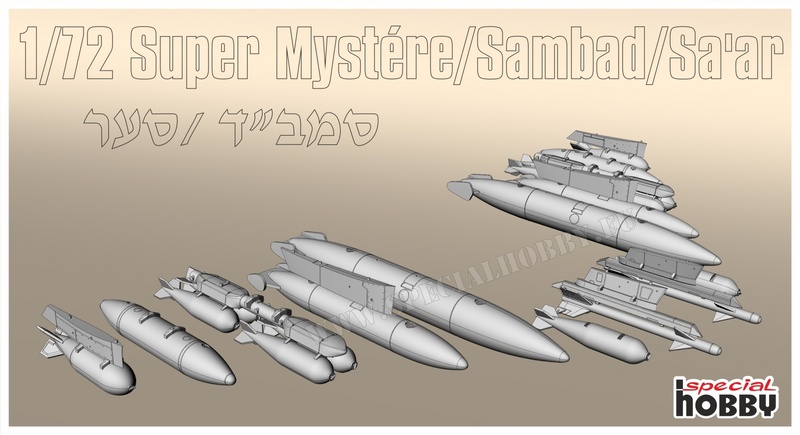 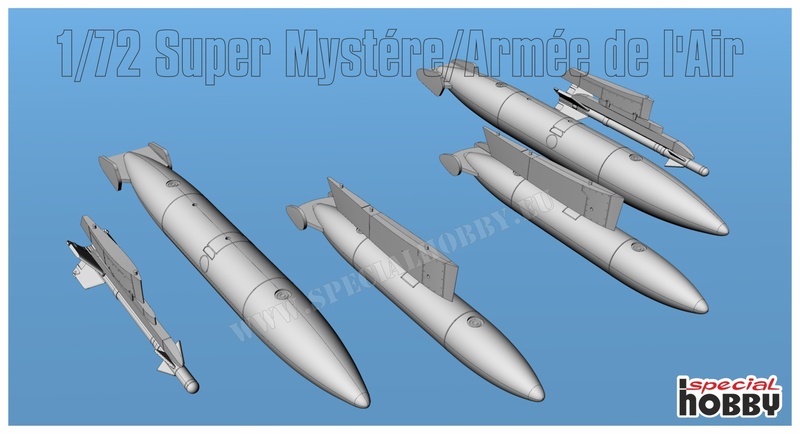 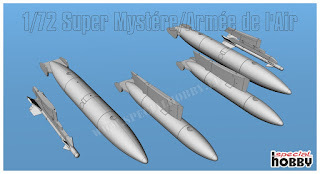 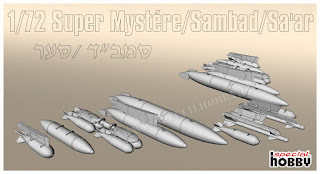 The 1/72 Super Mystère kit, a joint project of Special Hobby and Azur/Frrom is currently on the finals and its sprues have already been shown several times both on the web and at some model shows. What has been still kept under the lid however is the extra sprue containing the plentiful offensive ordnance as used during the type's colourful service with the IAF as well as two types of underwing fuel tanks and AAM Sidewinders on special rails as seen on French SMB.2s. 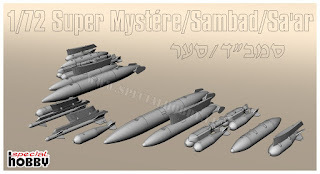 The "Israeli" option offers several bombs of various sizes, their pylons (of interest is the very unique quadruple rack), and also an indigenous AAM Shafrir (meaning "Dragonfly") on a special wing root mounted launcher. 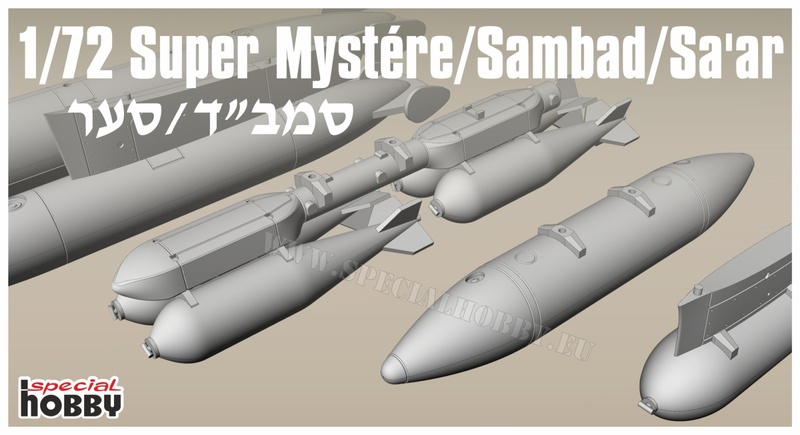 There are also the 600 and 1300l fuel tanks as well as a pair of napalm tanks.